Let’s connect on Instagram – follow me as Skimbaco! So you want to know how to gain Instagram followers? I spilled many of my Instagram search-related secrets in my book Instagram as your Guide to the World- How, What and Who to Search and Follow on Instagram to Help You Travel the World (click the links and subscribe to my newsletter and you get the book for free), but get asked a lot of other questions on a regular basis. Recently someone also asked me what was the best about Instagram, and I immediately answered: the people!! The best about Instagram is connecting with people. 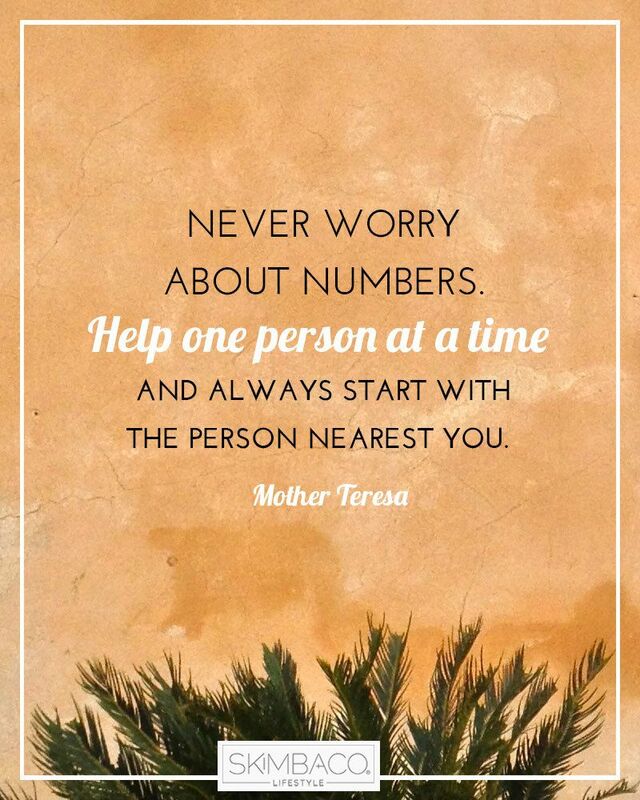 Don’t think of people and your friends as “numbers,” but as human beings you want to connect with. Also ask yourself – why you want “more followers.” Sometimes it can be like saying “my old friends are not good enough, I want more.” Focus on building meaningful relationships by talking about things like your favorite travel destinations, or daily lives. Support others by being a friend, comment more with words, less with smiley faces. When you are nice and you talk, people will notice your comments and likes, and others will want to follow you too. It’s also nice to tag your friends in your photos, and also post pictures of them. Seems like a no-brainer, but surprisingly many don’t think of Instagram as an art form, but more of just another social networking tool. You can post bad quality “behind the scenes” and “candid moments” type of photos on Facebook or Twitter, but I highly recommend upping your Instagram game and putting your best picture forward (even if they are candid). Read my tips for taking better pictures. Even if it’s your top moment, or the most incredible place to visit, don’t post it if the photo isn’t good quality. Think this difference: Instagram is your visual annual scrapbook and photo album of best moments, not your calendar of everyday appointments and meetings scribbled with bad handwriting. Also: less is more. Better quality, less photos, and you will more likely be an Instagram success. This tip is especially important for bloggers: if you tell the entire story when events happen already in your social media networks, there are no surprises left for your blog post about the event/destination/trip. Never post everything and all of the best photos, just give a teaser look, and tell the rest of it in your blog. If you want people to see your best photography – use the tools you like using the most. I think phones take great photos, and in fact since I started using my camera photos on Instagram, I haven’t seen a massive gain of new followers. There are no rules that you can’t add photos taken with your camera, so if you feel it’s easier to get good content out with camera – do it. You can also use Instagram from your computer by using Gramblr, and post camera-pictures this way. There are several reasons – once you snap it you can’t crop it, or if you don’t want to post it immediately, you can’t save it either. And only way you can edit the photo, is by using the Instagram filters. Many other reasons, but just don’t ever do it. It’s the final touch. Like chef plating the food in a way that it doesn’t just taste good, but it also looks pretty. Except you are not a chef, and people are not going to taste the food, smell the roses, hear the roars of the lions, or feel the wind on the ocean side in your photo. The picture is all you got, so edit the picture in a way it tells the story the best. Use tilt-shift to focus in a small part of the photo and to create depth. Crop the photo in a way that only the needed things to tell the story are in it. For example so many times I am in a car and see beautiful landscape or a pretty sunset, and I snap a photo only to realize there are power lines in the picture. If you didn’t get the pretty picture, go to Facebook and type in “aw, I saw the pretties sunset tonight, and didn’t even get a photo of it, better luck next time.” Or not ;) Just don’t post the picture of power lines. I use Snapseed for editing photos. Learn to master your “look” for the photos, for example I like using the “HDR Scape” and adjust the filter strength and saturation, and I like using the “tune image” to adjust ambiance. 6. What’s your story? Make sure your photo feed tells it. Your individual photo needs to tell a story – but so does your entire stream. When people scroll down your Instagram profile in 5 seconds – what does it say to them? Make sure you are happy with the answer. Many people who look at your profile might not take time to read your text or scroll down pages and pages of photos, they just quickly skim through and if the sooner they get “your story” the sooner they will make the decision to tap the “follow” button. Of course most of us have more than one interest, and by all means show them, but the more consistent you can be, the easier it is to gain followers. I have noticed it is very difficult to stay consistent when you travel a lot, and for example last month I was in the USA, Portugal, Morocco and Denmark, all VERY different looking places. Picking consistent themes, for example I like taking pictures of bicycles, helps to keep it consistent even when you travel. In all honesty, the more monotonous, the better. Imagine if your favorite restaurant changed the menu each week, and sometimes it was good, sometimes not so much. You’d stop going. But when you know Tuesdays are the eat-all-you-can-pasta-night, you are there. Same time, every Tuesday. I saw the first growth happening on my Instagram account when I started posting “Good morning from Sweden” (or wherever I was) photos each morning at the same time. I stopped for a long time because I have been traveling so much, but will start it again this summer. Also if you look at Instagram sensations like MommasGoneCity, and her #theoandbeau puppy & the boy pictures, you will see that the same format works week after week. Jessica and her family recently went to Disneyland, and she posted adorable photos of all her three children, and the photos got half the likes than the Theo & Beau photos typically get. It’s just like getting a really good soup from your favorite restaurant, but you really went in for a sandwich. I personally love seeing the other pictures in the mix too, just stating how Instagram community works for maximizing the results. I also get bored really quickly of posting the same thing, and I am all over the map (ha, sometimes literally), so this is probably one of the things holding me back. On Instagram it’s not just the content that is the king, it’s the comments. The more you spend time commenting on photos, and having meaningful conversations, the more people want to connect with you. Find people who have similar interests than you, and just start commenting and liking their photos. Most likely once you have been commenting on their photos, and their followers see they think you are a cool person, they are more likely to follow you too. Liking is an important currency on Instagram as well, and you can see which photos the people you follow like by using the “following” tab on Instagram. It’s a great way to find new people to follow, but when you like photos, you will also pop in that section for your followers’ streams as well. Instagram also changed the “explore” button in a way that the photos your friends are liking can now show up in the explore-section. It used to show only the most liked photos and it has been referred as the “popular page.” Now even photos with less than 10 likes can make it to the explore page, so you are making a big favor to your friends by liking their photos. It’s easier to connect with people while they are using Instagram right at that moment. You are more likely to get an answer and a comment (and follow) back if you see the person is using the app at the very moment. Otherwise your comment can be just lost in their stream. How do you know if they are on? The most obvious of course, if they are posting photos – immediately connect with them. Second, check the “following” tab, maybe they are not posting photos, but liking other people’s photos (this you can only see for people you already follow). Third, follow hashtags you like, and who is adding photos with the hashtags and start connecting with them when they have just posted a new photo. Fourth, look at the newest photos your friends are posting and who is liking them. They follow and like your friends’ photos, maybe you have something in common? Tap in to see their profile, comment, like and follow if you want. You are much likely to get a follow back on the moment they are using the app. Don’t over share your Instagram photos, and post them on Twitter and Facebook each time you post a photo on Instagram if you want your community to also follow you on Instagram. It might seem like the opposite – it’s easy to post a picture on Instagram and easily get it to other social media channels as well, managing several platforms seems so much easier that way! Correct, but if all of your friends see your photos on Facebook – why would they also follow you on Instagram to see the same photos? Post different content on different networks and people will want to follow you everywhere. It is still important to connect your Instagram account to your Facebook account though – you can find all of your Facebook friends who are on Instagram, and more importantly – they can find you. Think also unique ways to promote your Instagram account: learn to insta-pin, and add your photos to Pinterest. Write guest posts giving your Instagram photos and tips and new people will find your photos. For example I just recently wrote an article about Instagram strategy for bloggers for the iBlog Magazine, and am happy to write more articles about Instagram – it gives others content, and maybe new people will find my photos or Instagram Travel Thursday this way. Whoa! I think that was way more than ten tips, and I hope you will find them useful, and of course, let’s continue discussion on Instagram, follow me as Skimbaco. Thanks for informative sharing. I would like to way of talking. Great advice. I’ve recently been going out of my way to interact with other Instagram users. I hope it results in a better overall experience. Great with your 10 instagram success secrets. I’m just getting started with Instagram. I like how it can get the exact location with each photo. So much great information. I am in the process of redesigning my website. Instagram is so important these days and I knew nothing about it ’til I started reading your article. Thank you for sharing.